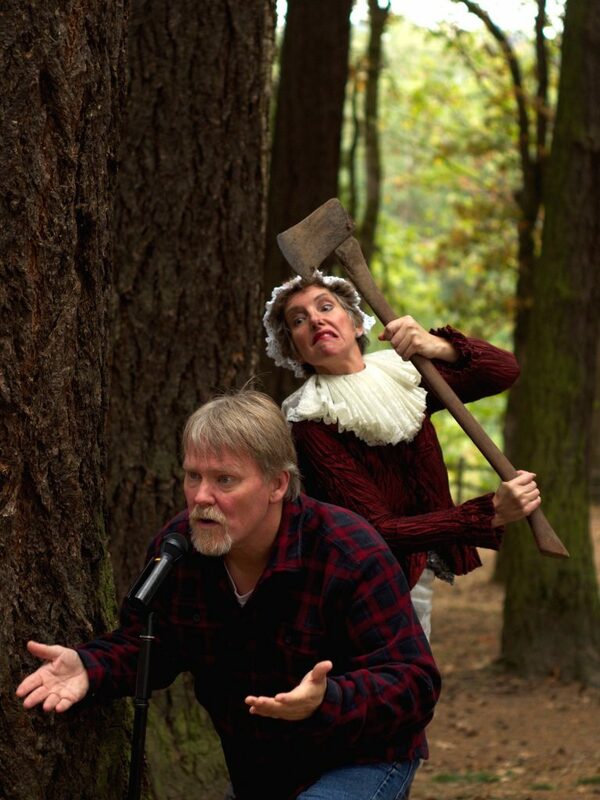 The Walters Cultural Arts Center (527 E. Main St., Hillsboro) is pleased to present Grimm Love, an evening of storytelling by Anne Rutherford and Norm Brecke, February 19 at 7 p.m. As part of the Walters’ Creative Connections Speaker Series, Rutherford and Brecke will share silly and twisted tales of love gone wrong, inspired by the Brothers Grimm. Willing audience members will also have the opportunity to share their own stories of Grimm Love in an open mic session. This event is free and open to the public, and is recommended for ages 13 and up. Anne Rutherford has been organizing storytelling programs and spinning tales in front of an audience since 1999. Her repertoire includes original fiction, ghost stories, tall tales, personal stories, Pacific Northwest folklore, and the occasional knock-knock joke. Her 2016 CD, “The Habit of Joy,” was a Storytelling World Award winner. Rutherford is also an acclaimed liar. She is four-time first-place winner at the Northwest Folklife Festival Liar’s Contest in Seattle, and took the grand prize in the Northwest Tall Tale Challenge in 2016. Norm Brecke is a storyteller and musician specializing in folktales reflecting his Northwest roots and childhood in North Bend, Ore. He often brings music to his performances, accompanying himself on guitar, banjo, ukulele, or jaw harp. Brecke has developed and implemented storytelling clubs and workshops for youth and adults, and performs in diverse settings, from bookstores and libraries to festivals and campfires. He has performed with the Seattle Symphony, and at the PowellsWood Storytelling Festival, the Seattle Art Museum, and the American Library Association National Conference. This program is part of the Creative Connections Speaker Series, a series of talks and performances by members of the creative community. Past events have included storytelling, artist’s talks, lectures, literary readings, discussions, and more. These free events take place throughout the year and invite members of the community to spark their creativity and curiosity as they make new creative connections.